Gary Coleman, the child star of the smash 1970s TV sitcom "Diff'rent Strokes" whose later career was marred by medical and legal problems, has died after suffering an intercranial hemorrhage. He was 42. 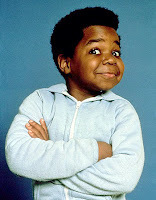 Coleman, with his sparkling eyes and perfect comic timing, became a star after "Diff'rent Strokes" debuted in 1978. He played the younger brother in a pair of African-American siblings adopted by a wealthy white man. He suffered continuing ill health from the kidney disease that stunted his growth and had a host of legal problems in recent years.